Bosch Extreme CCTV, a range of products designed to capture images in the most demanding conditions including extreme temperature ranges, low-light and no-light environments, corrosive or volatile atmospheres and areas where physical attack to the product may occur. DIVAR IP 5000 is an affordable, easy to use all-in-one recording solution for network surveillance systems of up to 32 channels (all channels pre-licensed). Running the full Bosch recording solution including the Video Streaming Gateway to integrate third-party cameras, DIVAR IP 5000 is an intelligent IP storage device that provides both, a professional video recording solution and ease of operation. The 1080p infrared bullet from Bosch is a professional surveillance camera that provides high quality HD images for demanding security and surveillance network requirements. 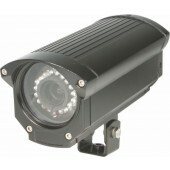 This robust bullet camera is a true day/night camera offering excellent performance day or night. 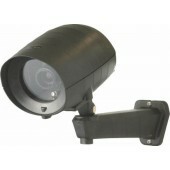 The builtin infrared LEDs provides quality night time monitoring with 60 m (196 ft) viewing distance in darkness. The AUTODOME IP 4000i is a compact, indoor PTZ dome camera with a high-resolution 1080p60 HD sensor and a 12x optical zoom that allows operators to monitor wide scenes without losing any details. 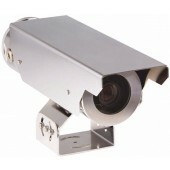 The camera’s aesthetic design and flexible mounting options allow unobtrusive surveillance of large halls, reception areas, or waiting areas that would otherwise require multiple cameras for effective surveillance. The MIC IP starlight 7000 HD camera has an advanced PTZ platform that was designed using Bosch’s domain expertise in material engineering, mechanical design, intelligent imaging, and video streaming. The camera complies to some of the toughest industry standards such as IP68, NEMA 6P, and IK10 for extreme mechanical strength and durability. Excellent low-light performance (0.017 lx in colour). Intelligent noise reduction reduces bandwidth and storage requirements by up to 50%. 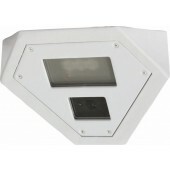 High-impact, ruggedized enclosure with choice of lens. 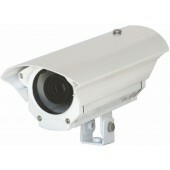 Keep your security in focus with the many features of the AUTODOME IP 5000i IR camera. 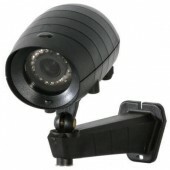 The camera is carefully tuned to deliver detailed 1080p60 HD images during daylight and full details under low-light or no light conditions with the intelligent IR illuminator.